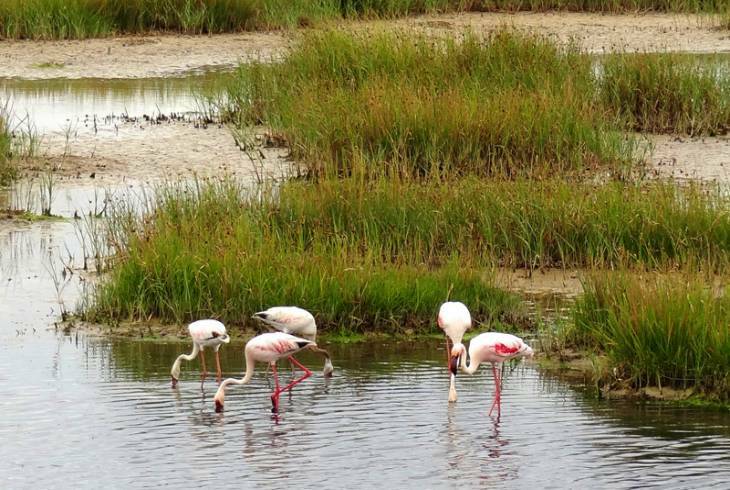 Just 90 minutes from Cape Town, on Route 27, the little village of Velddrif lies at the mouth of the Berg River in an area popular for its fishing, bird life and wild flowers. Part of the Crayfish Route, Velddrif is well-known for its seafood delicacies - particularly Bokkoms (dried fish), a West Coast treat prepared and dried on the banks of the Berg River. Fishing and salt are Velddrif's main industries and one can attend organised tours of the salt factory. The Velddrif Bridge is always a welcoming sight as flocks of flamingos and pelicans use it as a base. The Berg River estuary is home to a huge variety of water birds including the little Blue Heron and otters and water mongoose are a common sight. Nearby attractions include the Cape Columbine Lighthouse, named after the 1829 shipwreck, the West Coast National Park and West Coast Fossil Park, Langebaan Lagoon and the Velddrif and Rocherpan Nature Reserves, which support over 190 different bird species. Velddrif overview. Velddrif Accommodation and Information.